Two amazing scope manufacturers are Vortex and Leupold. These optics manufacturers both produce quality work, and it can become difficult to choose when deciding between the two. If you’re having a hard time deciding which scope to purchase, then you have come to the right place. Here we are going to do a side by side comparison of the two product lines and see how their various scopes stack up. Vortex and Leupold both offer a great selection of entry level scopes. These scopes are designed for those who need an optic for hunting, but don’t want to spend more on their scope then they did on their rifle. A popular model of entry level scope from Vortex is the Diamondback HP. The Diamondback HP comes in a variety of sizes. The 4-16x42 and the 2-8x32 as well as the 3-12x42. This review is specifically focused on the 3-12x42. A quick rundown of the features on the Vortex Diamondback HP 3-12x42. Multilayer coated optics that help increase light transmission and minimize light reflection. Second focal plane reticle maintains the size of the reticle providing more accurate magnification sighting. Waterproofed interior that is sealed with an O-ring. ¼ MOA adjustment with 15 MOA full rotation. Parallax free with parallax setting 20 yards to infinity. Eye relief of 4 inches giving you a fast target acquisition experience. The Vortex Diamondback HP is a solid entry level scope. Most hunters and marksmen are going to find that this scope can meet a majority of their sighting needs. The big selling points of this scope are the second focal plane construction and the parallax adjustments. Many budget scopes do not feature second focal plane construction. The size of the reticle on first focal plane sights can interfere with precision shooting for inexperienced marksmen. Having this option in a lower priced scope is fantastic. Many high-end scopes don’t feature parallax adjustment. Finding this feature on a lower end scope is phenomenal. Eliminating parallax will crystalize your target in the sights and make your scoped target clearer. The Leupold product line contains several entry level scopes. One popular option is the Rifleman. There are several models of rifleman scope that change the magnification or objective diameter. For this review we are exploring the Rifleman 3-9x40. A brief overview of the features built into the Leupold Rifleman 3-9x40 riflescope. Features the Ballistics Aiming system, the Leupold proprietary reticle. Nitrogen filled main tube makes the inner optics fogproof and waterproof. 4-layer multicoated external optics allow for greater light transmission and lower reflection. Parallax free at 150 yds. Fixed focal plane glass construction. The Ballistics Aiming system utilized by Leupold offers marksmen multiple aiming points for long range shots. The reticle can also help offset shots by helping calculate the windage for you. There is an infinite power selector setting to help you match your rifles ballistics and eliminate the need for additional calculations. The best part about the Leupold Rifleman scope is the rugged construction. The 1-diameter main tube is filled with nitrogen to make the optic waterproof and fogproof. The scope maintains its durability while weighing just over 12 oz. making it a great addition to any rifle. When looking at the function of these two optics there isn’t a lot of difference. The clear performance difference is the use of the second focal plane construction on the Vortex Diamondback HP. Second focal plane usually outperforms its fixed focal plane counterpart. The main difference between mid-level scopes and the entry level scopes are the construction materials used. While the performance specifications may look similar to an entry level scope, the materials used to build these scopes are far superior. Both Vortex and Leupold offer a sufficient selection of mid-level scopes. The Leupold VX-3i 3.5-10x50 and the Vortex Razor HD LH 2-10x40 have similar viewing capacities. The Vortex Razor HD LH 2-10x40 has some serious power and options when it comes to a moderate range scope. The field-of-view at 100 yards for the 2x magnification is 56.2 feet. This gives you a generous viewing field allowing you to easily sight your target. Here is a quick rundown of the specifications for the Vortex Razor HD. HSR-A or G4 BCD reticle available on this model. Parallax set to 100 yards without adjustment available. Waterproof and fog proof with argon gas filled innertube. Single piece innertube construction aid of aircraft grade aluminum. Multicoated external lens is delivering highlight transmission and antireflective properties on all air to glass surfaces. Vortex has put a lot of consideration into the glass to deliver sharp and bright images when sighting your target. 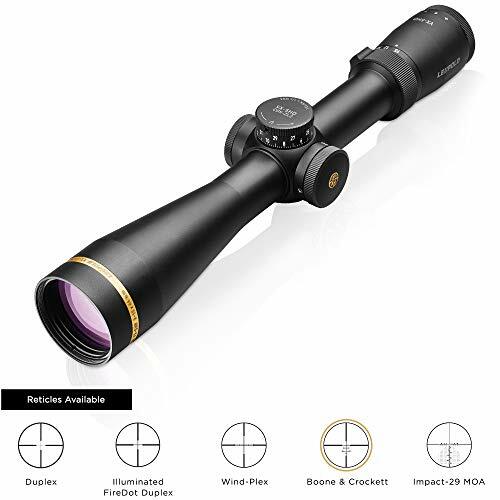 The minimum 2X magnification allows for great field-of-view and even at the maximum 10 X magnification the field-of-view is a generous 10.8 feet. 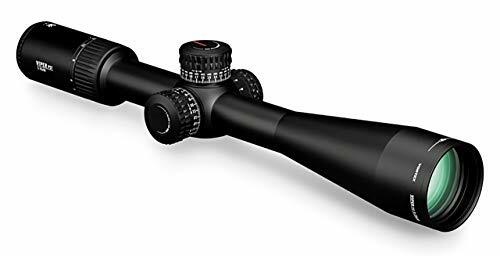 This lightweight scope comes with a lenscover and a 3-inch sunshade eliminating the need to purchase additional equipment. The argon gas filled innertube provides shockproof in waterproofing and fog proofing allowing you to utilize this scope in multiple weather conditions. When looking at a mid-range scope the Leupold VX-3i 3.5-10x50 is a strong performer. 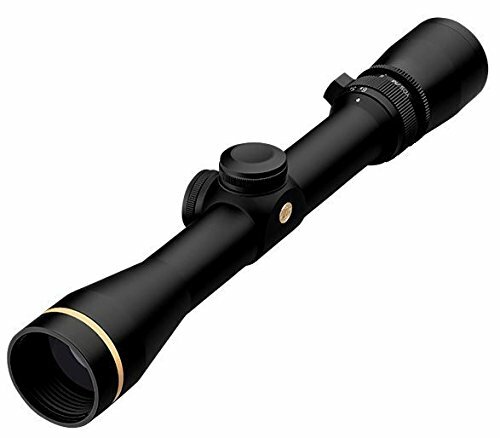 Leupold has invested heavily in the exterior coating of the glass on the VX-3i. In addition to high-quality glass the waterproofing and shock proofing elements are excellent with this scope. Here is a quick rundown of the key features on the Leupold VX-3i 3.5-10x50. ¼ MOA finger turn adjustment. Argon and krypton filled internal chamber eliminates thermal shock and fogging of internal glass. Duplex reticle or ballistic aiming system reticle available on this model. 1-inch main tube made of air craft grade aluminum. Twilight max light management system delivers usable image quality in low light conditions. 29.8 feet field-of-view at 3.5 X magnification, 11 feet field-of-view at 10 X magnification. This is a high performing mid-range scope. 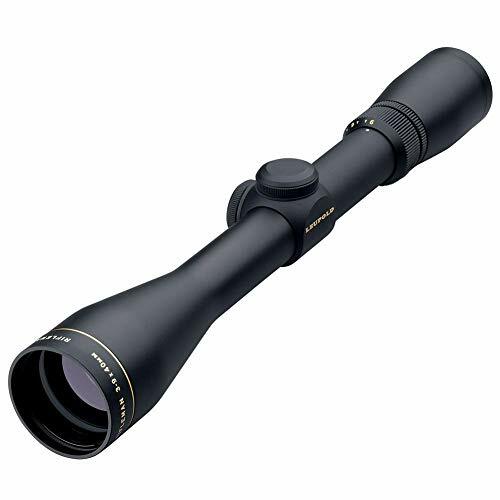 The Leupold VX-3i 3.5-10x50 offers plenty of features and high-quality construction elements to deliver excellent performance. The argon and krypton filled inner chamber offer excellent protection for the inner glass. Leupold’s ballistic aiming system is ideal for those who use custom ballistics. This eliminates the need for calculations and corrections when aiming. It’s nice to have a reticle that does the work for you. When comparing these two scopes the Vortex offers a more generous field-of-view at the lowest magnification. At 2X magnification it is almost twice the field-of-view than the Leopold at 3.5 X. This is the only place that the Vortex supersedes the Leupold scope. When it comes to eye relief, tube filling, and reticle the Leupold VX-3i 3.5-10x50 is a superior scope. Top of the line scopes are designed for precision marksmen. These scopes stand out above the rest because of their performance capabilities. When choosing a top of the line scope, you can expect to pay more, but you will also be able to see the difference in the image quality. 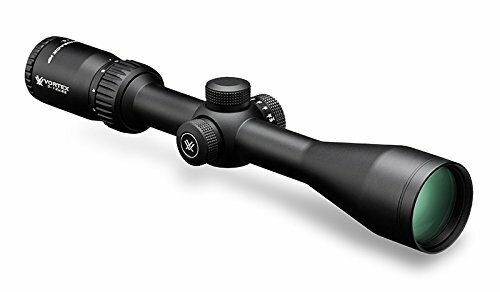 One of the top of the line scopes at Vortex is the Viper PST GEN II 5-25x50. This scope packs some powerful features into its relatively small package. The tube is only 30mm and it weighs in at 31.2 oz. With a 50mm objective lens this scope is designed for some seriously long shots. 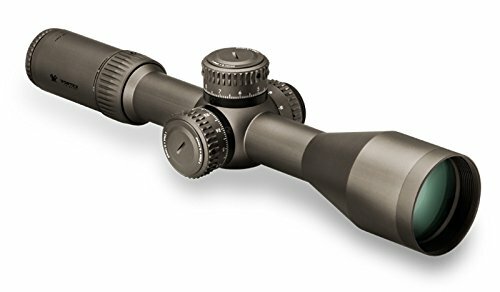 Let’s look at the features that set the Viper PST GEN II 5-25x50 apart from other scopes in this category. Glass etched reticle that is illuminated for aiming in low light conditions. XD and XR lens elements feature extra low dispersion glass and proprietary antireflective coatings on all glass to air surfaces. Single tube construction using aircraft grade aluminum. Waterproof, shockproof, and fogproof; filled with argon gas to prevent fogging and O-ring sealed. Zero stop turrets prevent the zero from going below the sight-in range. ERB-4 reticle allows you to use MOA or MRAD subtension lines. The Viper PST GEN II 5-25x50 is designed for long range shooters. The max magnification provides a generous 4.8 ft. field of view. Those who are looking for long range assistance this scope provides you that. The scope is available either in first focal plane or second focal plane construction. Those shooting with the second focal plane glass will enjoy a parallax free setting 25 yards and beyond. The Leupold VX-5HD 3-15x44 offers mid-long-range shooters plenty of features to make sure that they are on target. This scope packs a ton of features into its 30mm tube. There is a lot to love about this scope. Here are some of the top selling features of the Leupold VX-5HD 3-15x44. Argon and Krypton gas filled inner chamber prevents fogging, provides thermal shock proofing, and is sealed to be waterproof. Quick zero with the CDS-ZL2 turret reset and zero lock. Fiber optic fire dot illumination. Motion sensor technology deactivates the scope after 5 minutes of inactivity and re-illuminates immediately with motion. Generous 7.9 ft. field of view at 15x magnification. 3.7- inch eye relief allows for easy target acquisition. There is a lot to say about the Leupold VX-5HD 3-15x44. 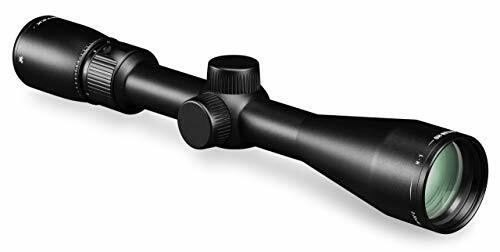 This sleek scope allows mid to long range marksmen to easily acquire their target. The push button illumination makes it easy to light up your target without loosing sight. What really sets this scope apart from everything else in its category is the motion sensor tech built into the scope. This can be invaluable during long range shots. It is a fun and useful feature. Both Vortex and Leupold are strong performers in this category. Leupold pulls ahead with their motion sensor tech and their easy push button activation. These are the scopes that dreams are made of. If you have ever wanted a scope to do something, these out of the world scopes can probably do it. The Vortex Razor HD GEN II 4.5-27x56 has a ton to offer. If you want something that can perform in strenuous conditions, this is it. The customization on the scope to lock zero between MOA clicks is amazing and helps you narrow in on a target that is far away. Here are some other amazing things that the Vortex Razor HD GEN II 4.5-27x56 has to offer. Zero Stop for elevation, micro adjust zero settings. Illuminated reticle and glass etched reticle. Choice of MRAD or MOA reticle at purchase. Plasma tech coating with HD lens elements and AR coating. Single piece tube made of aircraft grade aluminum. 11 levels of illumination intensity and a locking side dial. 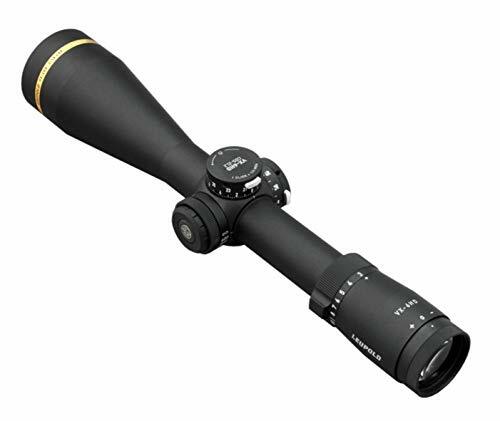 Leupold has designed an excellent scope with the VX-6HD 4-24x52. This massive performer comes quipped with features like the electronic reticle level. This level will help you keep your sights accurate and will also shut off the reticle when the gun is tilted more than 30 degrees to save the battery. Other high-end features built into the Leupold VX-6HD 4-24x52 are just as good. Push button illumination with one button for high or low setting. Motion sensor technology that deactivates the reticle after 5 minutes and re-illuminates on motion. Ballistics aiming system or choice of MOA based reticle. Argon and krypton filled chamber that stops thermal shocking, also helps waterproof and fogproof the sight. Both scopes are great. You aren’t going to be disappointed no matter which you choose. Those who need to be able to adjust their illumination intensity will prefer the Vortex Razor Gen II. On the other hand, the motion sensor technology makes the Leupold VX-6HD a tough contender. This really is something where shooting style will dictate which scope to choose. Your choice of a Leupold or Vortex riflescope should be based largely on your shooting style. These two product lines come very close to one another in terms of performance. They differ on some key features like Motion Sensor Technology, Reticle Illumination Settings, and parallax functioning. Your personal preference is going to be a much stronger indicator of your happiness when you purchase either scope. Some features you can live without, while others are a must have. Only you know which are necessary when you hit the range.